A leading expert on hydroelectric dams has criticised a scheme which allows companies building dam projects in the Brazilian Amazon to claim carbon credits. The Brazilian authorities say dams are “zero emissions”, and so should be eligible to receive credits under the Clean Development Mechanism. However, speaking to Unearthed, Philip Fearnside, an expert from Brazil’s National Institute for Amazonian Research says the dams emit large amounts of methane or CH4, a more damaging greenhouse gas than carbon dioxide. A 2012 study also found that “ebullition” of methane from dam reservoirs in tropical regions “has most certainly been underestimated until now”. If the dams are not actually “zero emissions”, and in fact emit greenhouse gases, then overall global emissions will be higher. The studies have found that filled reservoirs in tropical regions create a “pulse” of methane production at the beginning, as vegetation rots under the surface of the water. Then the mud flats around the reservoir’s edge releases methane throughout the life of the dam. Fearnside calls them “methane factories”. But, as Fearnside explains, “what really counts is what happens in the next 20 years. If you look at 20 years, then that number goes up to 86, so compared to 21 you’re quadrupling the impact of methane – and the impact of these dams”. The Brazilian government published plans to build more than 297 dams across Brazil, according to its state-owned electricity company Eletrobras’ “2010 Plan”. Many of those are planned for Amazon basin rivers. This would create what Fearnside calls “a chain of reservoirs” covering around two-thirds of Brazil’s share of the iconic tropical rainforest – which is roughly the size of Western Europe. And now, dam builders are moving to apply for credits under the terms of the Clean Development Mechanism (CDM). This scheme enables developed countries signed up to the Kyoto Protocol to buy carbon credits, supposedly mitigated by the “zero emissions” dams. However the move by dam builders is unusual because it often comes after the projects have been approved. 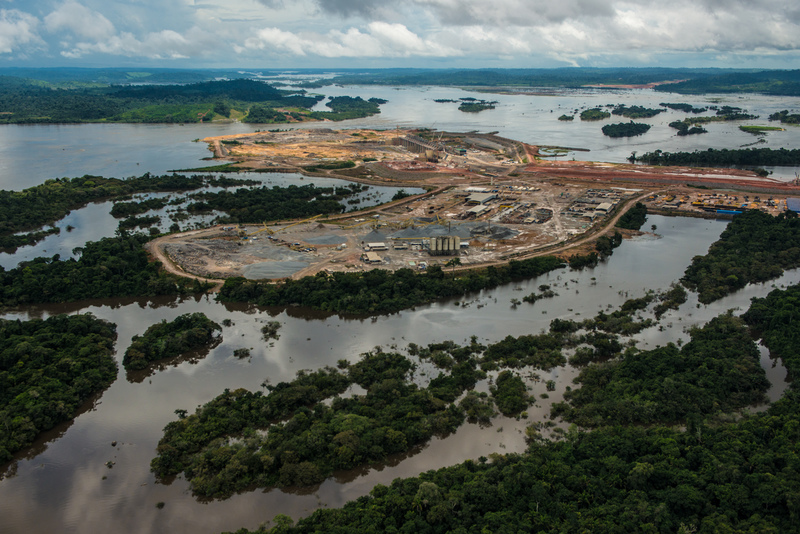 In the case of one of the oldest Amazon dams, the Balbina, Fearnside has estimated that it produced more harmful greenhouse gases per kilowatt hour of energy produced than a coal plant. A number of Brazilian hydroelectric dams are benefiting from the carbon credit scheme, including the Jirau in Rondonia State in the far north west of the country. It is the largest hydroelectric project to claim carbon credits. Fearnside notes that Brazil had quite a bit of influence over the rules of the CDM, which technically do not allow carbon credits to be requested after the project is built. This is because the project should reduce emissions more than would have occurred without the CDM intervention. Many of Brazil’s Amazon dams, as well as destroying large areas of tropical biodiversity, violate the land rights of its indigenous peoples.